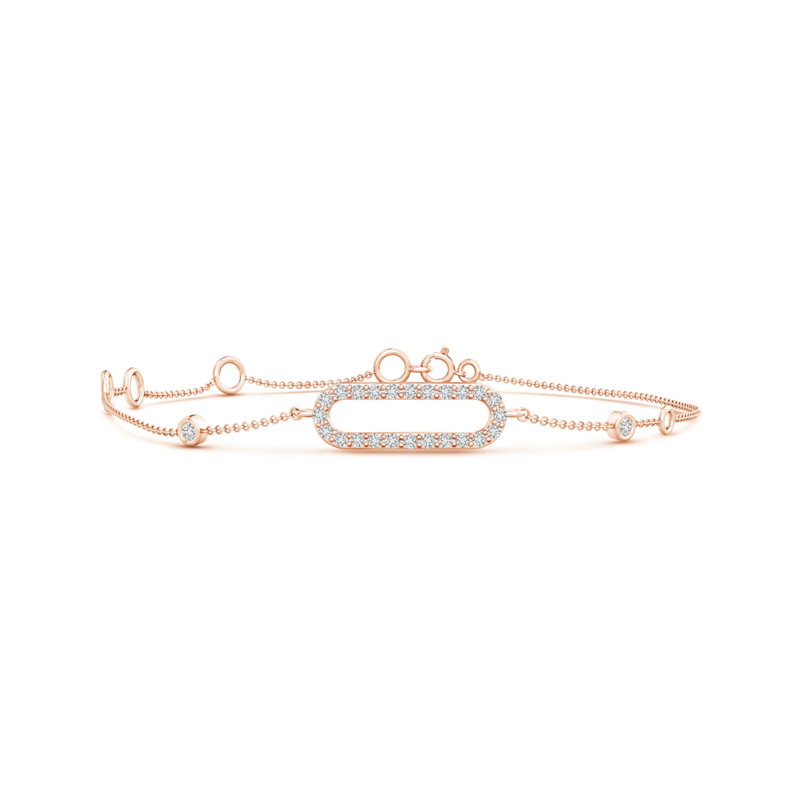 Flaunt your love for unique and charming pieces of jewelry with this circle and oval link bracelet. The artistically crafted open oval bar is adorned with prong set lab grown diamonds that fill up the entire frame with their luster. It also features two bezel set diamonds that are stationed on the chain, along with pretty open metal hoops. Crafted in 14k white gold, this elongated oval link bracelet is perfect for those who have an affinity for stylish diamond jewelry.